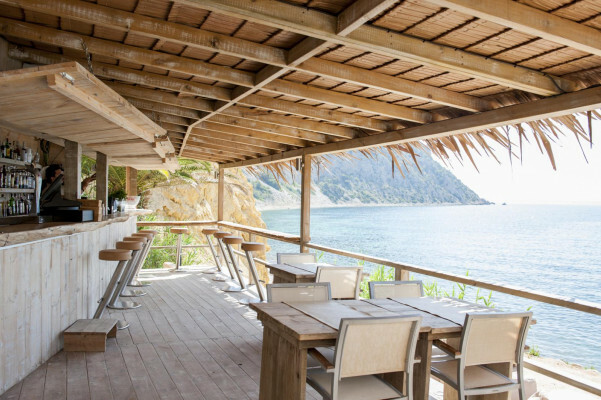 Wine and dine at Ibiza’s most stunning seaside restaurant. 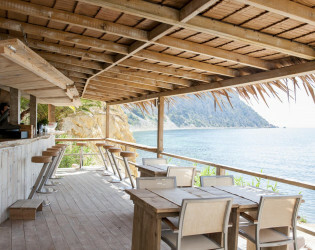 In a picturesque cove, this cliffside idyll of fine cuisine and cocktails is a vibrant haven of luxury and country vibes. 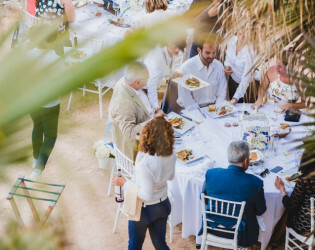 Enjoy local ingredients featured on a healthy and stylish Mediterranean menu. 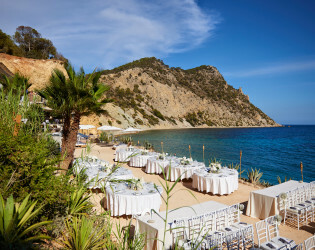 Amante Beach Club is Ibiza's most beautiful rural restaurant. 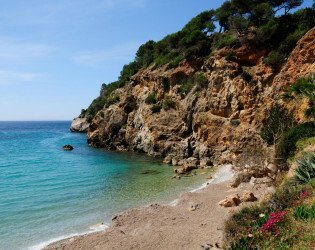 Set in a stunning cove, Amante is perfect for anyone looking to relax in a luxurious country setting. 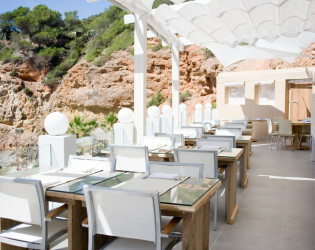 The mediterranean menu is modern, healthy and stylish and based on the freshest local produce. 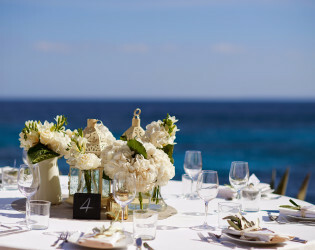 The exquisite Amante cocktails perfectly compliment the food and stunning views. 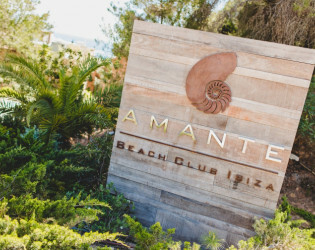 Luxurious day beds and attentive service make Amante the perfect all day destination. 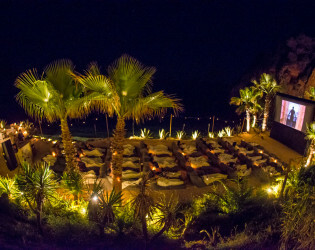 Evenings start with cocktails and sundown beats. 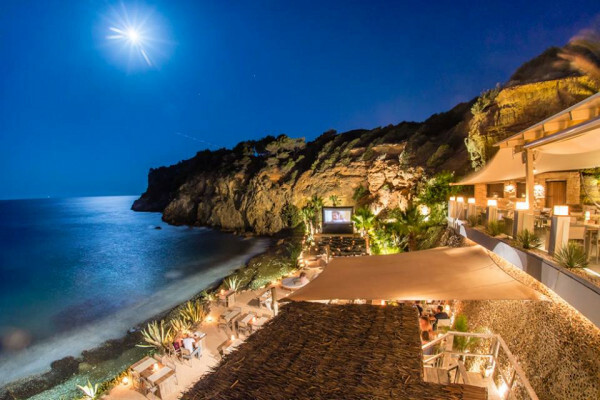 Fine dining is enhanced by the moonlit sea and illuminated cliff surroundings. 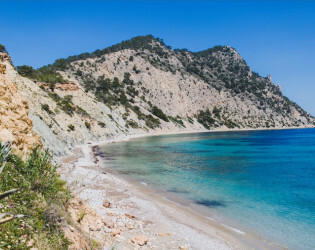 Sol Den Serra bay is particularly beautiful in the early morning sunlight and is the stunning backdrop for Yoga at Amante. 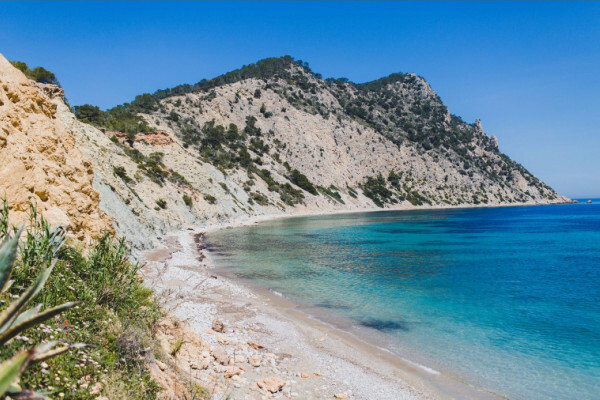 The perfect natural surroundings make an ideal location for an early morning yoga practice. Yoga is hosted at Amante 3 times a week. Movie nights at Amante, with floodlit rocks as a backdrop and the gentle sound of the sea in the background, Amante has to be one of the most atmospheric open-air cinema locations on the planet. 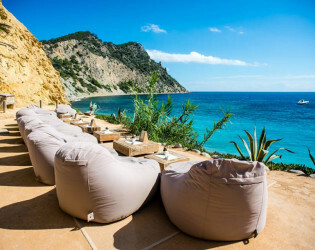 Snuggle up on comfy full-body beanbags with a glass of wine in hand settle down to watch some great movies under the stars. 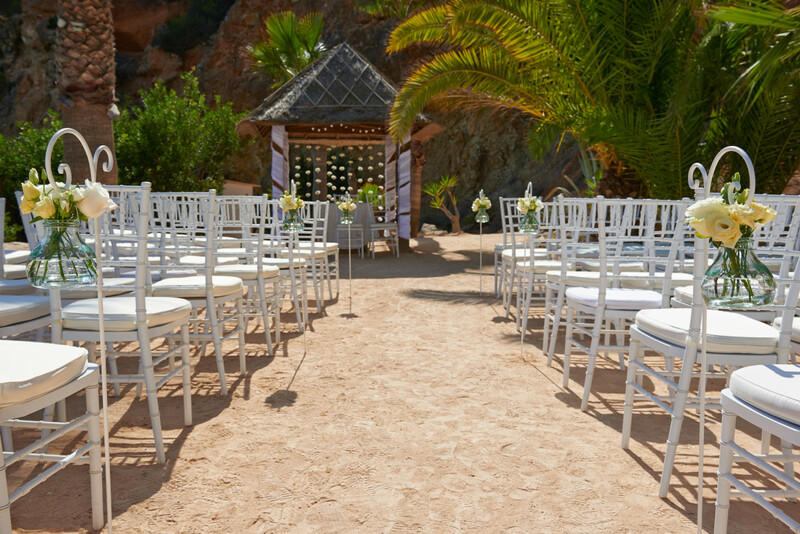 Simple, elegant, modern design. 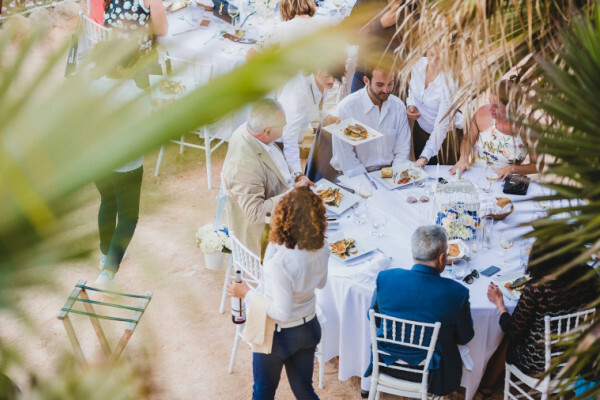 Taking influences from the surrounding nature, using natural raw materials to blend the outside environment within the restaurant. 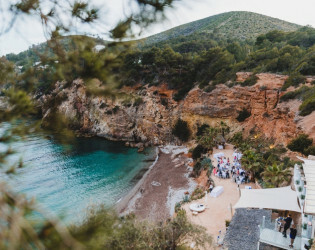 Amante is know as a venue where you come to disconnect from reality and immerse yourself in a relaxing environment and forget the fast paced day to day life. 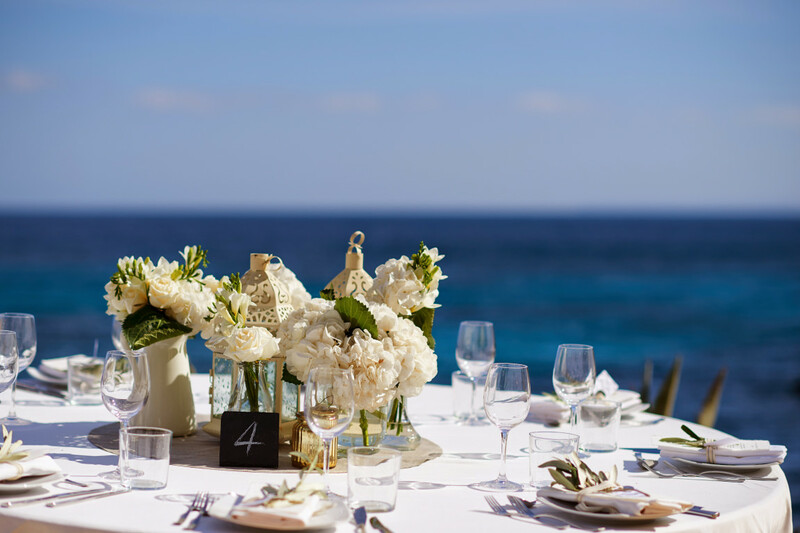 The views are breathtaking overlooking the bay of Sol den Serra and the island Formentera. 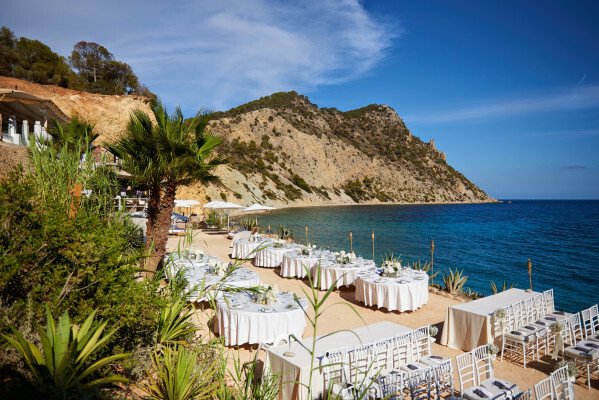 Amante Beach Club is Ibiza's most beautiful rural restaurant. 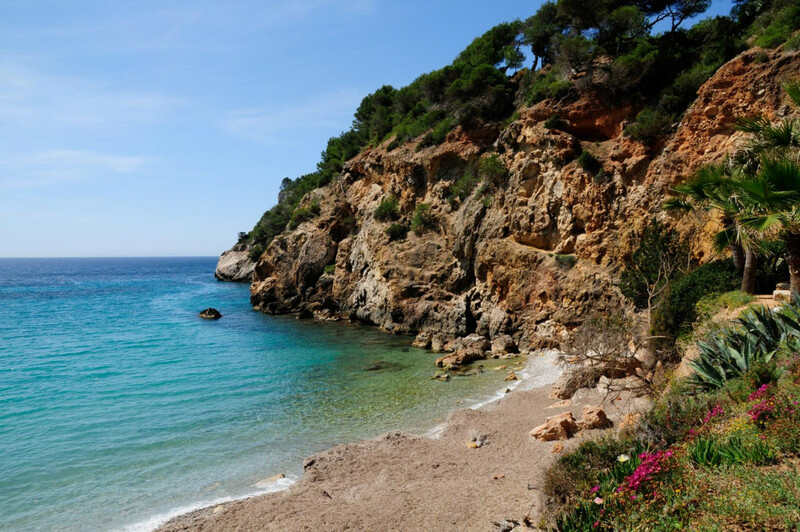 Set in a stunning cove, Amante is perfect for anyone looking to relax in a luxurious country setting. Perched on a cliff overlooking the Sol D’en Serra bay, the restaurant is surrounded by dramatic rocks and lush greenery. 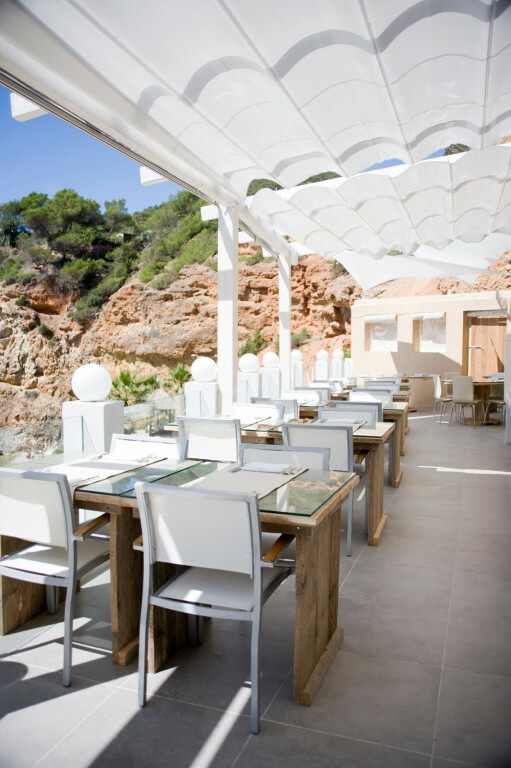 The mediterranean menu is modern, healthy and stylish and based on the freshest local produce. 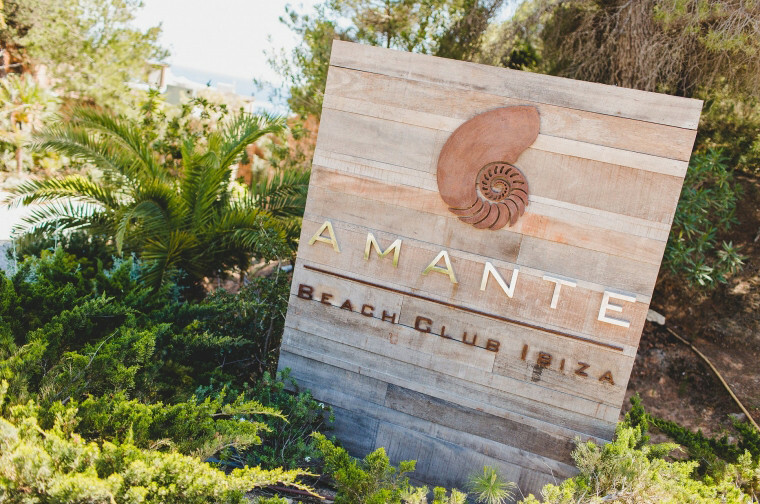 Luxurious day beds and attentive service make Amante the perfect all day destination. Enjoy lunch with beautiful views of the water. 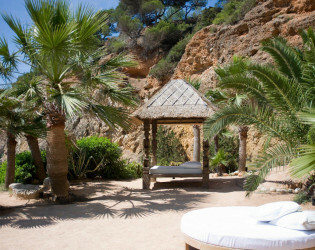 Amante Beach Club is located above Sol Den Serra beach, near Santa Eularia. Simple, elegant, modern design. Taking influence from the surrounding nature, using natural raw materials to blend the outside environment within the restaurant. 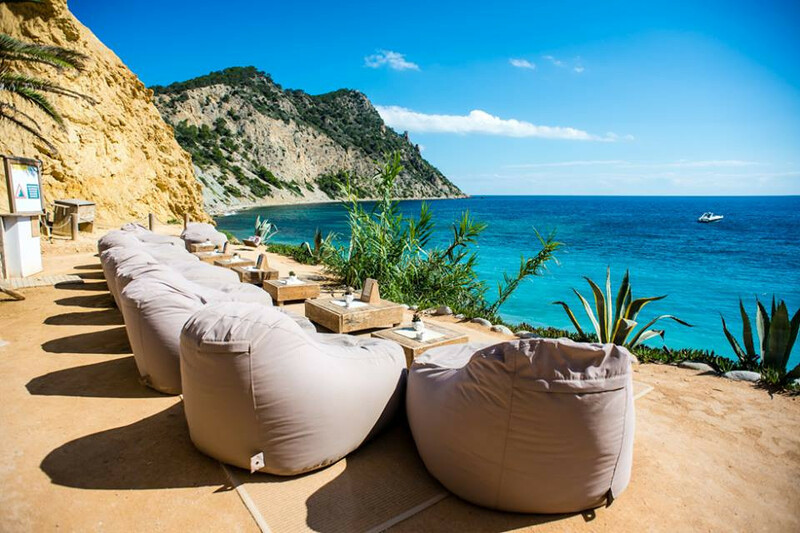 Comfortable bean bag chairs with an amazing view. 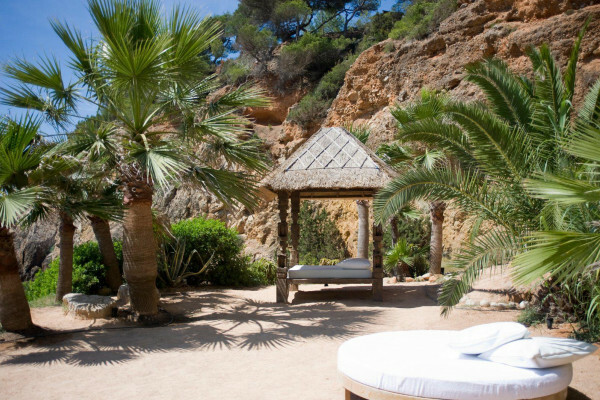 Soak up the sun and enjoy a nap by the beach. 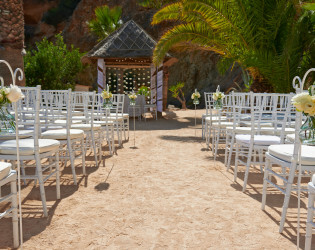 Amante Beach Club is available for exclusive hire for weddings and civil partnerships. The idyllic setting and stunning views of the bay and Formentera make it an unforgettable setting for a perfect day. 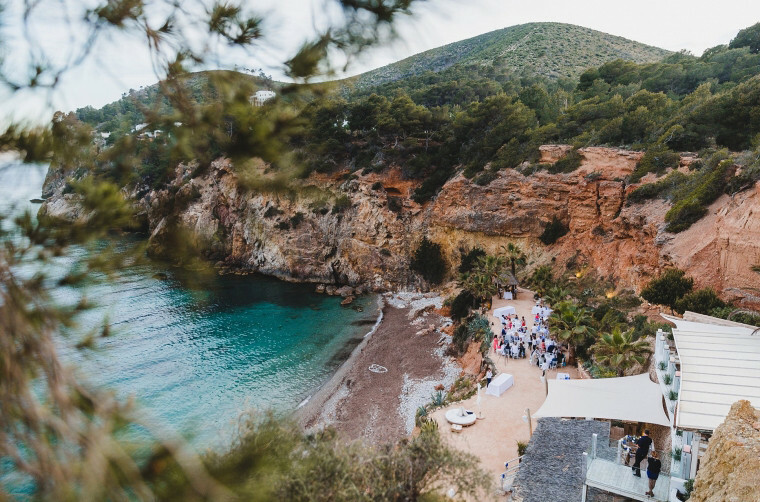 Evenings start with cocktails and sundown beats. 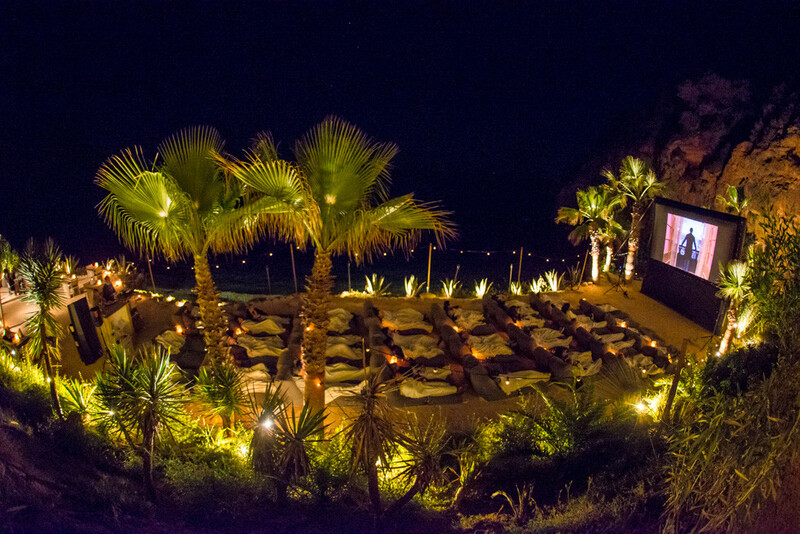 Fine dining is enhanced by the moonlit sea and illuminated cliff surroundings. 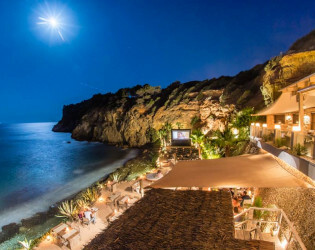 Movie nights at Amante, with floodlit rocks as a backdrop and the gentle sound of the sea in the background, Amante has to be one of the most atmospheric open-air cinema locations on the planet.